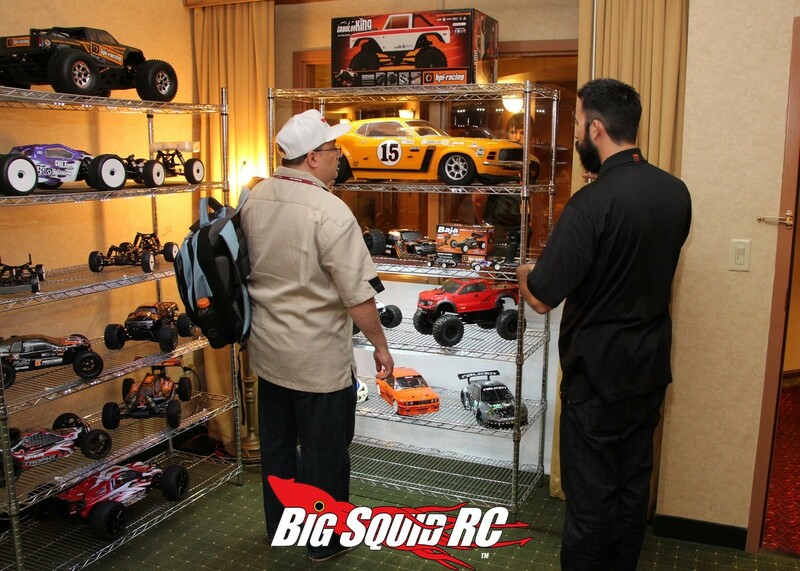 HPI Racing at the HobbyTown USA National Convention « Big Squid RC – RC Car and Truck News, Reviews, Videos, and More! The good folks at HPI Racing have long been supporters of the HobbyTown USA National Convention. Over the years, we’ve not only had a geat time just hanging out with them, but we’ve also learned a lot about the industry side of things from them. At this year’s show HPI had 3 very cool new products on display to grab the attention of all the HobbyTown dealers walking around the show. 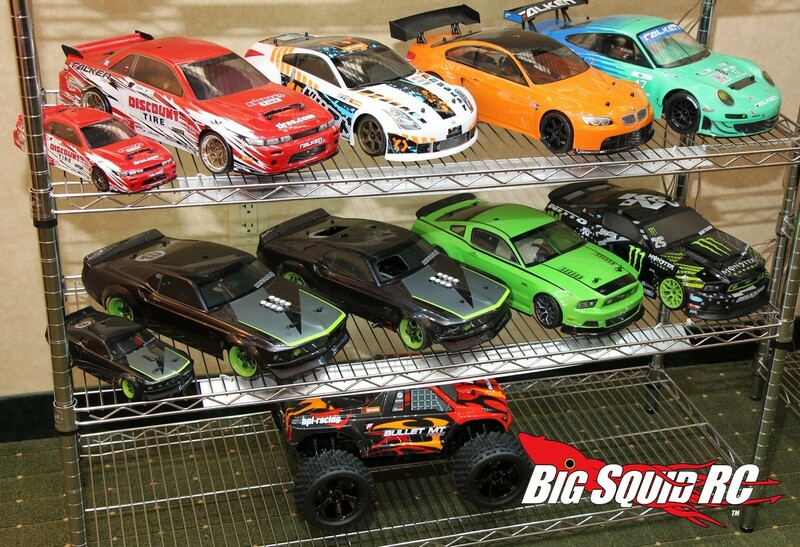 * Arguably the biggest news from HPI was also the smallest, a Q32 series Ty Tessmann edition truggy. The Q32 series fits in the palm of your hand but is huge fun when racing again friends, this particular version looked gorgeous in person and we can’t wait to bash them around the office this winter. * It is no secret that the Ford Raptor is still one of the hottest full scale trucks you can buy. 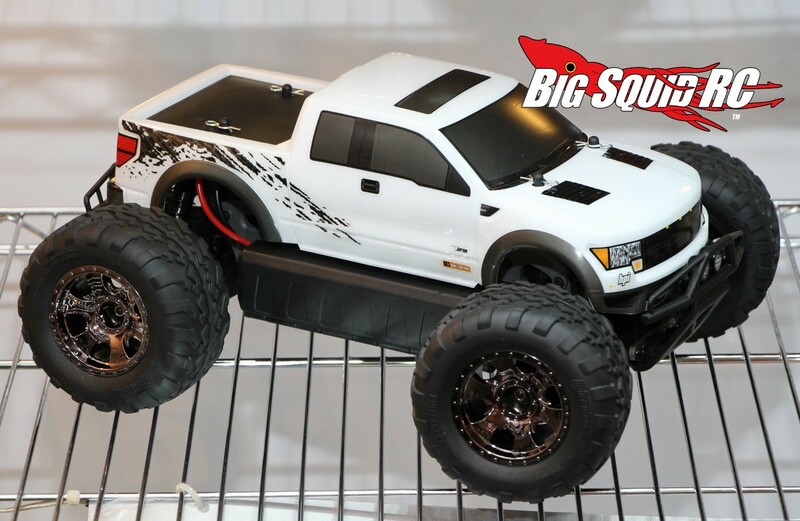 Because of their popularity, HPI was showing off their new Ford Raptor Edition Savage XS and Wheelie King. 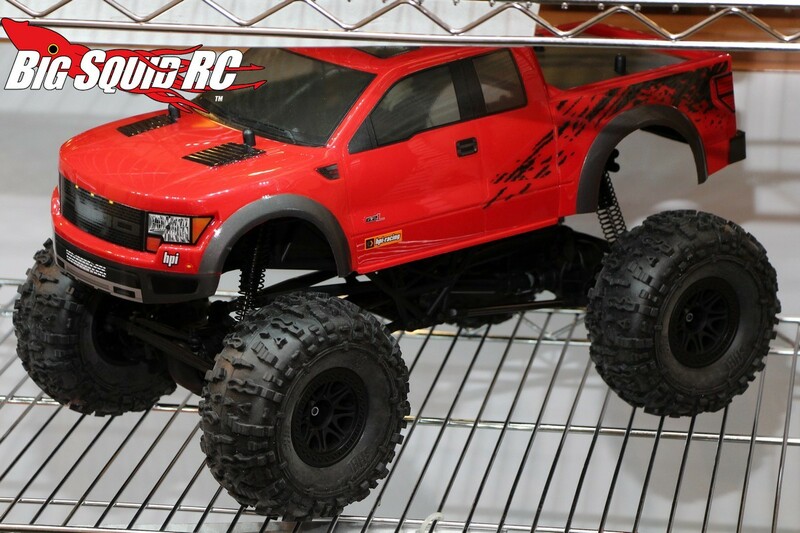 Both trucks come on their strong original platforms but have trick looking Ford Raptor bodies on top. Both trucks looked very cool in person at the show, they should look even better when outside bashing! * Also being shown off in the HPI booth were several of their new RS4 Sport 3 on-road cars and their giant 5th scale Baja 5R. The Baja 5R was particularly impressive first hand with its bright color and nice body lines. If you would like to learn more about HPI products simply drop by your local hobby shop or you find HPI on the web at This Link. Click Here to see more coverage from the 2015 HobbyTown USA National Convention.